After a class last year in free motion embroidery, I was inspired to make some particular pieces/pictures. 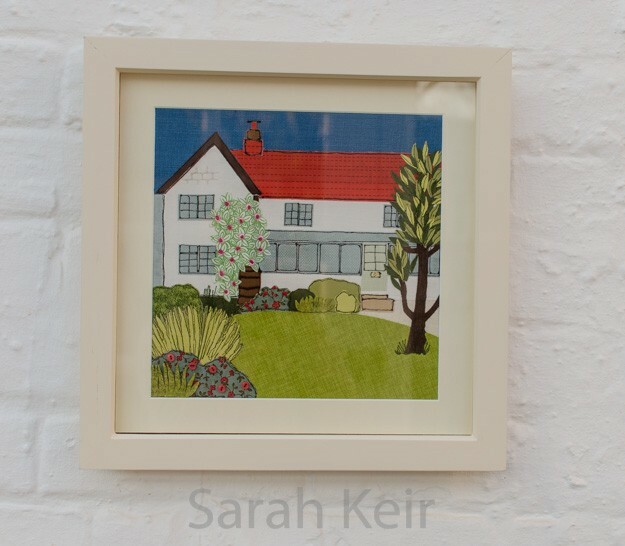 Unfortunately, they had to go on the back burner until after my exams in February, but for the past month or six weeks, I’ve been busily creating this embroidery picture of our house here in Wigginton. I spent a ridiculous amount of time procrastinating over the choice of fabrics and the placing of them and an even more ludicrous amount of money on fabrics! 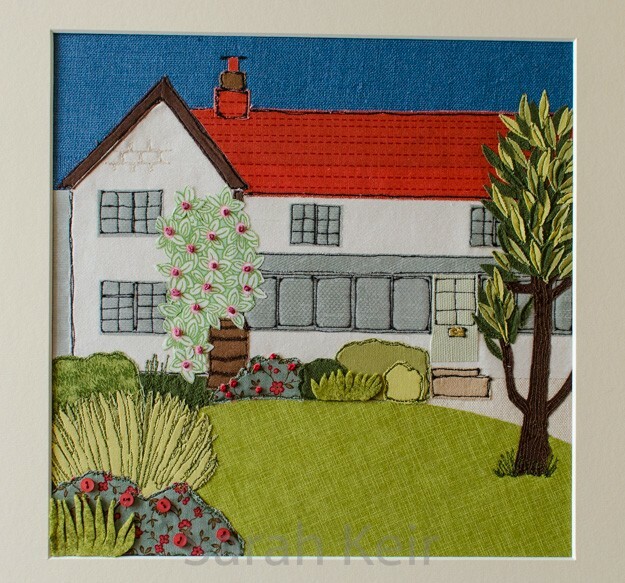 But I have to say, I am very happy with the finished article. I feel that this attempt is even a bit too perfect; it could do with being a bit more free-form! 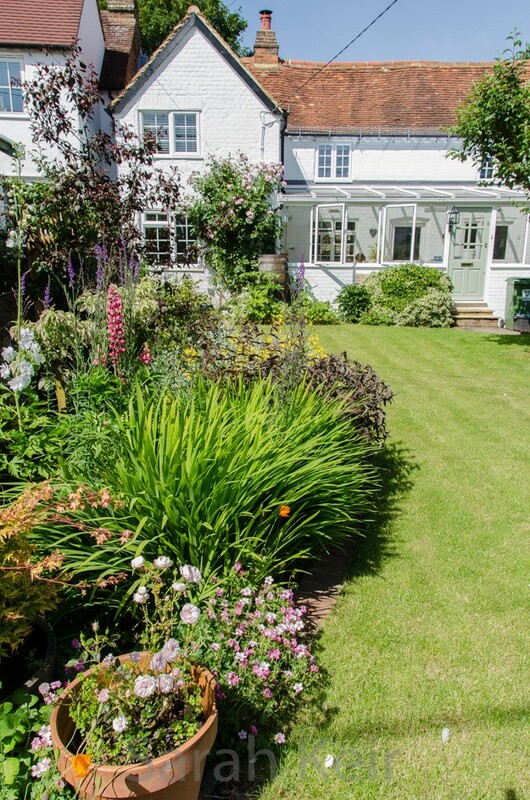 And here is the original photo which was my inspiration; taken last summer at the height of the garden’s glory. I decided to use my new found embroidery talents to make Christmas presents. 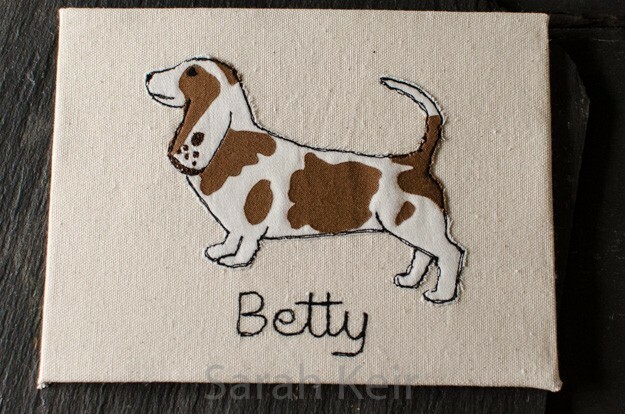 ‘Secret’ santa present for a nurse at work – Betty the basset hound. 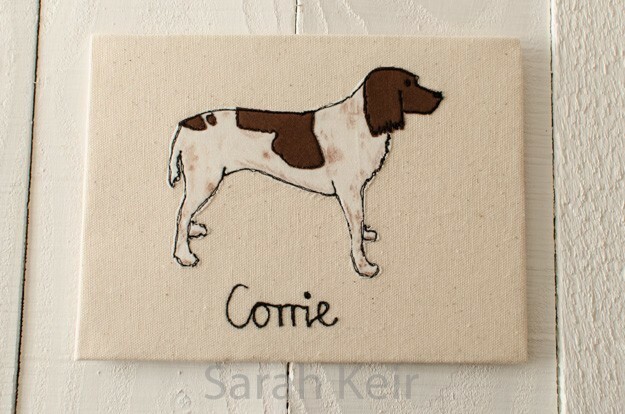 Christmas present for my Mum – her springer spaniel Corrie. 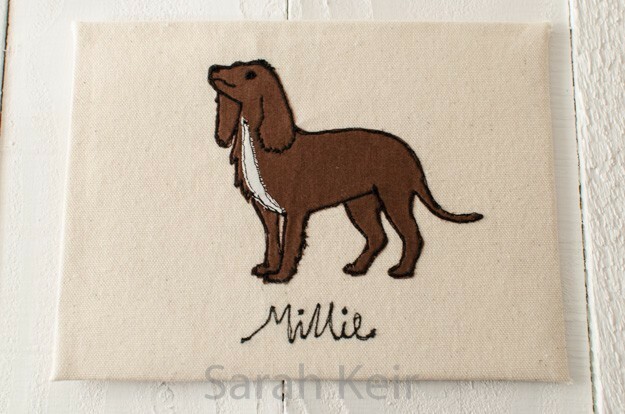 And her working cocker spaniel Millie.